Located in the Jamaica Plain section of Boston, also referred to as Forest Hills The Brady Funeral Home has been providing funeral services since 1875. 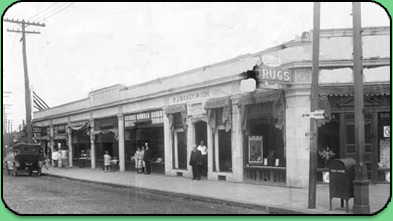 The firm was established by Patrick J. Brady in a store front location on Washington St. as seen in the picture below. In 1945, the Brady family built a funeral home on Tower St., still the current location. In 1957 the business was passed on to an employee, Daniel W. Kelley. Mr. Kelley and his family operated the funeral business until he retired in 1975. Since 1975, Ronald West and the West family has owned and operated the Funeral Home. 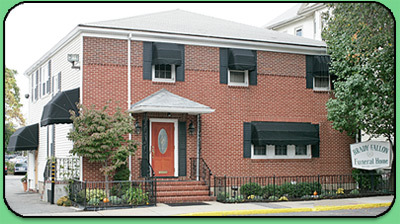 The JD Fallon Funeral Home was established in 1880. The funeral business, like Brady Funeral Home originally conducted funerals from a store front location on Centre St. in Jamaica Plain. In later years they moved the location to Greenough Ave. in Jamaica Plain and operated there until 1976. It was owned and operated by the Fallon family until 1976 when Ronald West acquired the funeral business and joined both historic funeral homes into one establishment now known as the Brady & Fallon Funeral Home. As a family owned and operated funeral home, we understand families. We understand the special care that families need during their time of loss. We know how important respect and dignity are to a family. Your family and your needs are Brady & Fallon’s first priority. We know and understand this because we are a family. Our family serving your family in time of need. Funeral Directors Ronald West, Michael West & Walter Boyko are available for your family at all times.